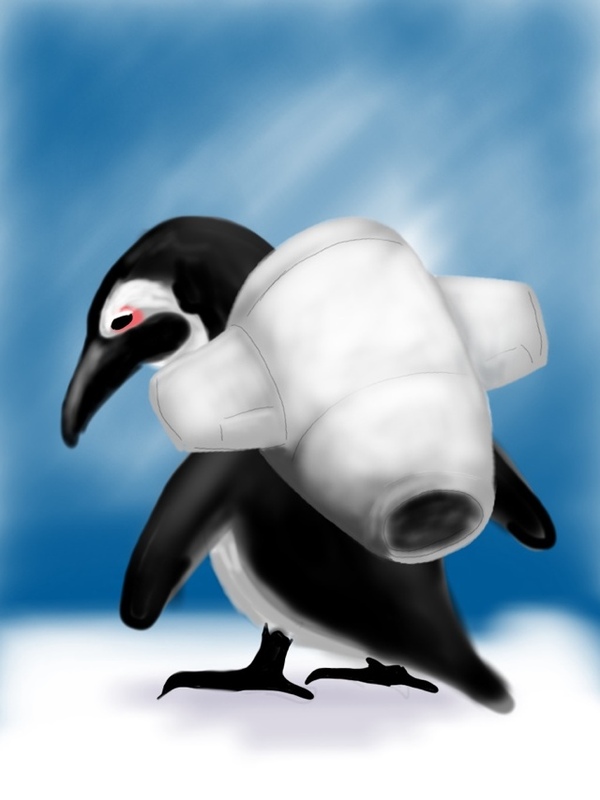 A very quick jet pack penguin. Kind of inspired by the swarms of jet powered web spam penguins that are causing everyone online so many problems. Isn’t that how it works? This entry was posted in Quick Desksketch and tagged penguin by Anthony. Bookmark the permalink.